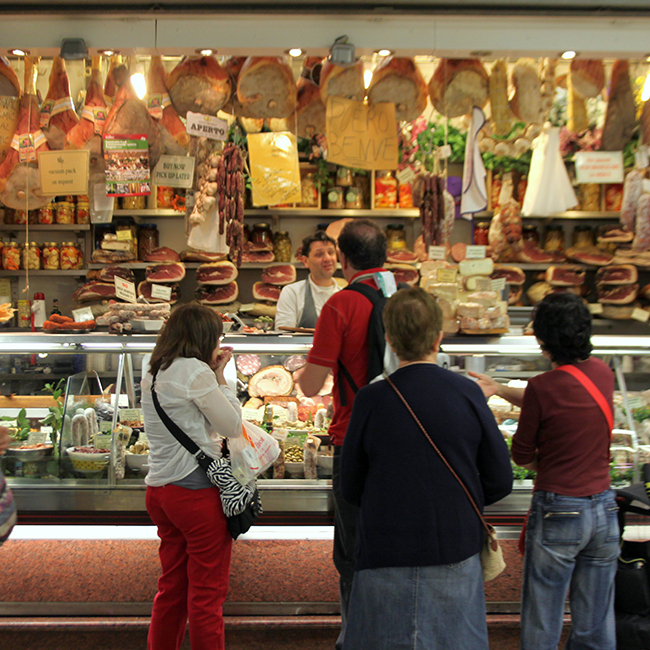 Florence’s central market, a foodie’s must see - Comidas Magazine - Because we love comidas. My friend Marco is from Florence. He currently runs a delicious pizzeria in a small village of Andalucía and I remember how he used to tell me, so proudly, stories of amazing fresh vegetables available at the markets of his hometown…I could almost see thinly slices of raw “alcachofa” (artichoke) on a freshly made margarita pizza! 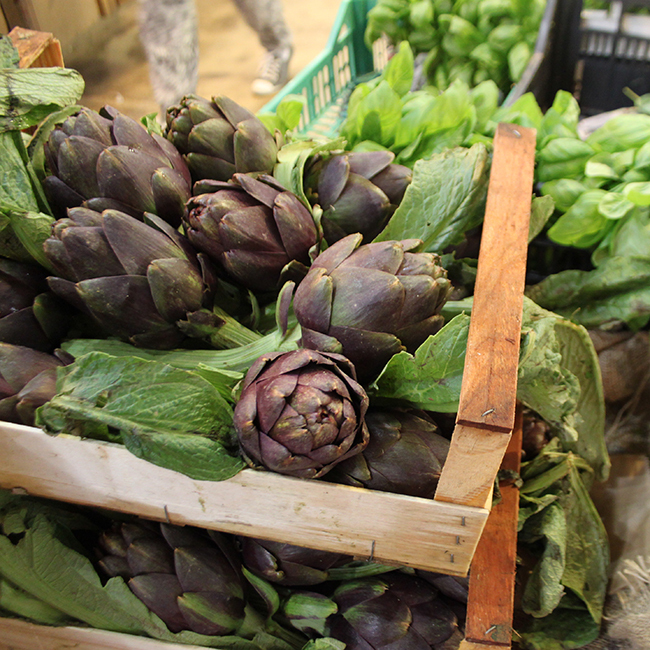 I finally got a chance to visit Florence’s central market, and, indeed the food displayed was incredible_ a wonder through these stalls will tempt your smell and taste buds. The Central Market dating of 1874 was designed by Giuseppe Mengoni, an Italian architect who is best known for his cast-iron and glass-vaulted Galleria Vittorio Emanuele II, in Milan. 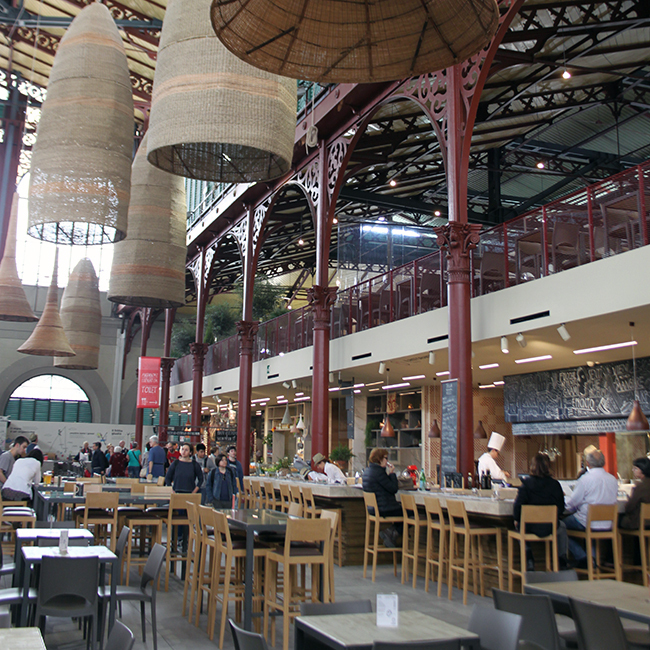 The design of the Mercato centrale is based on the market halls of Les Halles market in Paris (now demolished). The bustling market is a fascinating place to visit, especially for foodies. Of course, it has all the primary ingredients necessary for the Tuscan cuisine, and much more. On the ground floor, myriad of vendors are selling meat, charcuterie, cheese, bread, wine, fruits, vegetables and many other grocery items. Not sure what to get as a little food souvenir? Try Perini’s delicatessen. Located on the via Ariento side of the market. 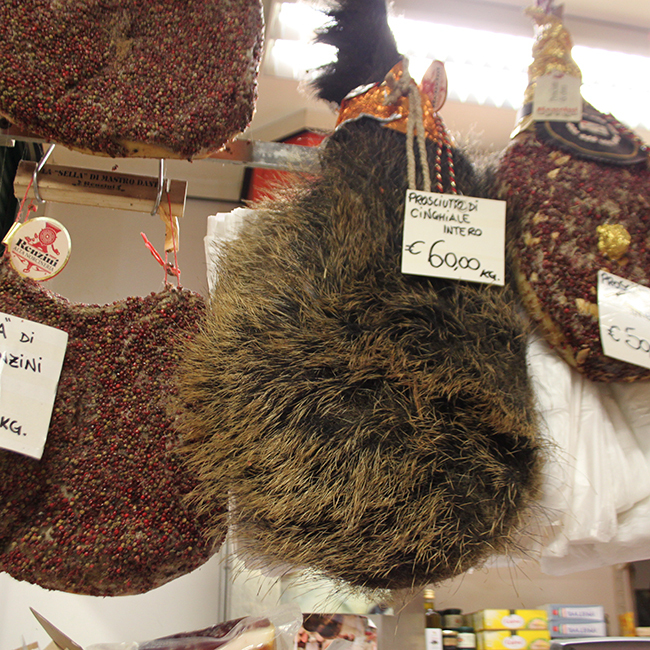 The selection of prosciutto is quite impressive, but they also have more interesting products such as: wild boar and venison ham, as well as a homemade mostarda. 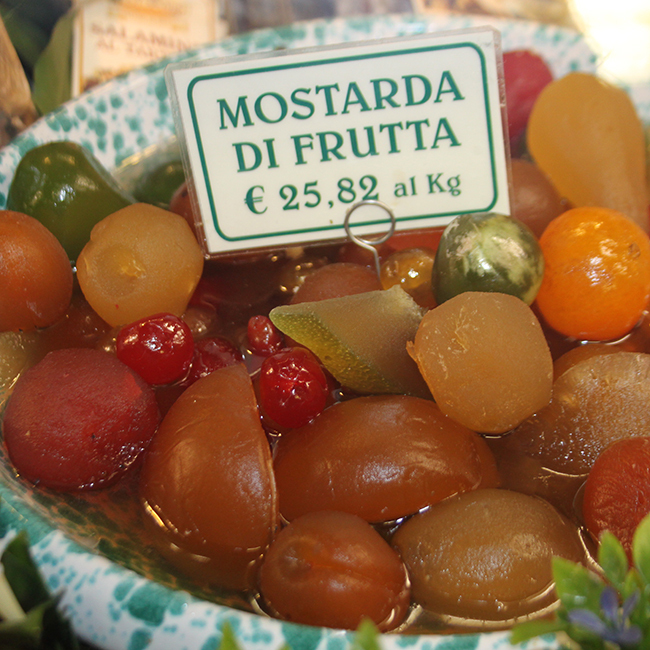 Don’t mistake it for mustard, mostarda is a kind of jam or chutney with spices and fruits and is meant to be eaten with cheese or roasts. While the ground floor offers many “raw” products, the first floor, which has been reopened only a couple of months ago is full of workshops. The place is very big since it has the same surface as the ground floor. It has a very modern feel and yet shows traditional cooking. You can see the making process of pasta or pizza and then order it and sit at a table. If you are not very hungry you can also grab a gelato or a panino / sandwich. Wasting time just browsing through markets while visiting Italy is definitely worth skipping a visit of yet another piazza or basilica…A good tip is to have breakfast before you arrive or you will want to buy lots of food treasures! For those who are puckish or traveling on a budget, the market is a great place to buy picnic supplies. Find yourself a little bench or a sunny spot to sit and enjoy the best of Italy.